September 21st is World Gratitude Day, a perfect excuse to run my #Grateful4 series. Not that an excuse is needed to be thankful. Gratitude is good for the soul and the body as well. Grateful people experience better health and improved relationships. Happiness, self-esteem, and resilience are boosted while aggression and depression are lowered. Why not take time out today on World Gratitude Day and give thanks? 1. Spring Break~Regular school holidays: My work as a school counsellor affords me two-week holidays between school terms (and six weeks at Christmastime). I don’t switch off–I just switch jobs. I hang up my counsellor hat and pull on my writer cap. Having time to devote my energy and full attention to my writing career is a blessing. 2. Sharing books: It feels good when a friend asks for a book recommendation. I’ve been combing my bookshelves looking for the perfect selections for my friend’s holiday read. 3. Togetherness and Spring sunshine: There’s nothing quite like the vast ocean to help put things in perspective, and when the weather and the company are lovely, it’s perfect. My husband and I shared a quiet Sunday ride in the car and a soak in the sun at the beach. Bliss. 4. Sharing my friends’ joy: I went to a baby shower and got to help build the bub’s library! My kind of parents! I picked out a few indispensable baby books, including Hairy MacLary (with adorable touch-n-feel pages), Where’s the Green Sheep, and A Very Hungry Caterpillar. I can’t wait to read to the little fella! 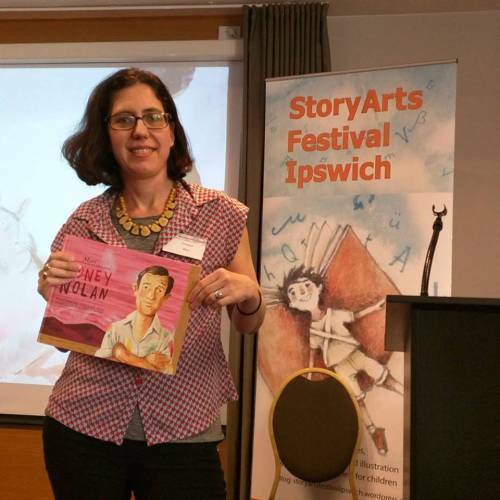 My writer-friend Yvonne Mes launched her first book, Meet Sidney Nolan, and I was lucky enough to share the big event at the StoryArts Festival. Congrats to Yvonne! Image Credit: Yvonne & Sidney @ StoryArts by Jenny S.
How wonderful to be included in your grateful 4! I relate to feeling the joy when recommending books for adults and children alike and there is nothing better than buying books for little ones and get their libraries started! 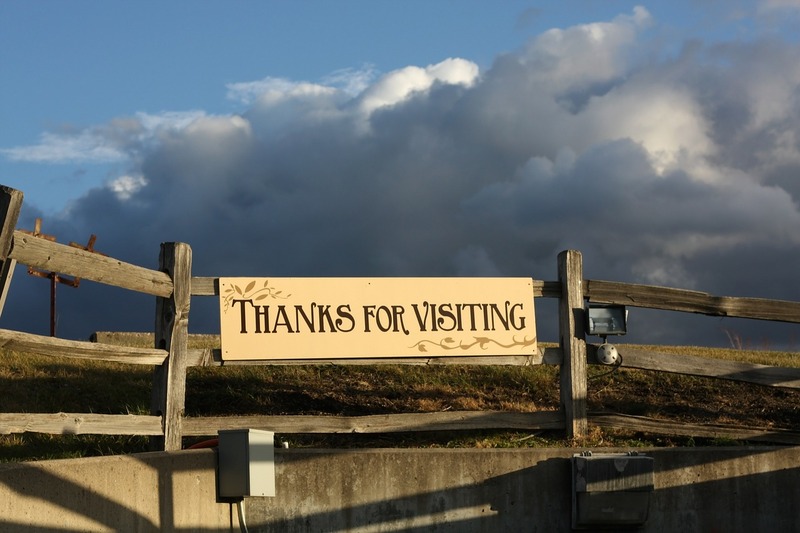 Thanks for visiting, Yvonne! I hope it’s all going well with your new book.